With a population of 70 million people, the 2nd largest economy in Southeast Asia, and transforming into a key regional partner for Beijing and its One Belt, One Road initiative, the US and its partners sought to propel opposition parties into power during recent elections held in March. However, the military-linked Palang Pracharath Party (PPRP) won the popular vote, delivering US-backed opposition parties their first serious defeat at the polls since rising to power in 2001. The US-backed Thai opposition is led by fugitive billionaire, ex-prime minister Thaksin Shinawatra. He was ousted from power in 2006 after a series of corruption scandals, human rights abuses, and attempts to illegally consolidate power. Shinawatra has since attempted to return to power through a series of nepotist proxies including his sister Yingluck Shinawatra who served as prime minister from 2011-2014 until likewise being ousted by judicial and military intervention. In addition to Thaksin Shinawatra’s Pheu Thai political party, he also maintains a violent street front known as the “red shirts,” and is bolstered by US-funded nongovernmental organizations (NGOs), “student activist” groups, and extensive support throughout the Western corporate media. In the most recent election, Shinawatra divided his political forces into multiple parties in a hedging strategy meant to preserve at least one party against disbanding for serving illegally as the fugitive’s proxies. In addition to Pheu Thai, Shinawatra also fielded Thai Raksa Chart, Pheu Tham, Pheu Chart, and Future Forward. While Pheu Thai and other parties are openly run by Shinawatra as proxies, the latter – Future Forward – has attempted to claim it is not a nominee party. The party – headed by billionaire Thanathorn Jungrungreangkit (normally referred to as Thanathorn) – not only promotes an identical agenda of removing Thailand’s military from politics – thus paving Shinawatra’s return to power – it literally established its party headquarters next door to Shinawatra’s Pheu Thai Party. It includes various pro-Shinawatra politicians in its party, and was promoted by Shinawatra’s Thai Raska Chart (TRC) party as a nominee after TRC’s disbanding ahead of elections. Thanathorn himself is co-heir of the Jungrungreangkit fortune accumulated by his late father, and since taken over by his mother. The Jungrungreangkit family has long allied itself with Shinawatra. Media interests the family controls have served as stalwart supporters of Shinawatra and his political agenda for years. This support extends itself to promoting the same Western interests and agendas that in turn are sponsoring and benefiting from Shinawatra’s bid to return to power. Thanathorn himself – ahead of elections – went out of his way to court foreign interests and support – including visits with Canadian Prime Minister Justin Trudeau and speaking at venues like the Concordia Summit – chaired by inveterate regime change promoters and pro-war advocates including John Negroponte and David Petraeus, as well as representatives of verified dictatorships like Prince Abdulaziz bin Talal bin Abdulaziz Al Saud of Saudi Arabia. Thanathorn has repeatedly declared his intentions to roll back joint Thai-Chinese infrastructure projects and slash the Thai military’s budget, undermining its ability to fend of foreign interference – both foreign policy dreams long sought after by Washington. It should come as no surprise then to see concerted support across the Western corporate media for Thanathorn and his Future Forward Party – as an alternative to supporting Shinawatra whose credibility and popularity are flagging despite years of extensive Western lobbying. Thanathorn’s Future Forward Party came in 3rd behind the military-linked PPRP and Shinawatra’s Pheu Thai Party. Despite this – it has been inexplicably endowed by the Western media with a disproportionate and imaginary mandate.Thanathorn has found himself in legal trouble in the wake of the election, facing at least 3 charges including sedition. When summoned by Thai police, he was accompanied by foreign embassy staff including representatives from the United States, UK, and Canada. Readers should recall the US-UK-Canada’s role in multiple illegal wars stretching from Libya in North Africa, to Iraq and Syria in the Middle East, to Afghanistan in Central Asia – and their collective, ongoing support for genuine dictatorships like Saudi Arabia, Qatar, and the Neo-Nazi-aligned regime presiding over Kiev, Ukraine. The West’s support for Thanathorn and Future Forward – then – is nothing more than direct meddling in Thailand’s internal political affairs, merely hidden behind democracy, rather than in its defense. The West – through proxies like Shinawatra and Thanathorn – seek to weaken or entirely remove Thailand’s independent institutions including its courts, military, and constitutional monarchy – thus paving the way for unopposed economic “liberalization” and the co-opting of Thailand’s foreign policy to rollback ties with Beijing, transforming the Southeast Asian state into a bulwark against China at its own expense. At the height of Thaksin Shinawatra’s power, he was the 4th richest man in Thailand. His political and financial power was such it required nearly 2 decades of intensive efforts – including 2 coups – to sufficiently diminish. This only recently culminated in Shinawatra’s Pheu Thai political party losing the popular vote in recent elections. 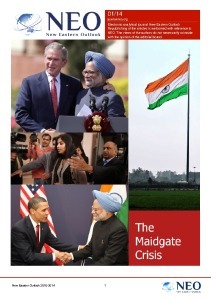 Between 2010 and now – Shinawatra has gone from 4th richest to 19th. His credibility and influence has waned to the extent his own proxies – including Thanathorn – must deny any ties to him. 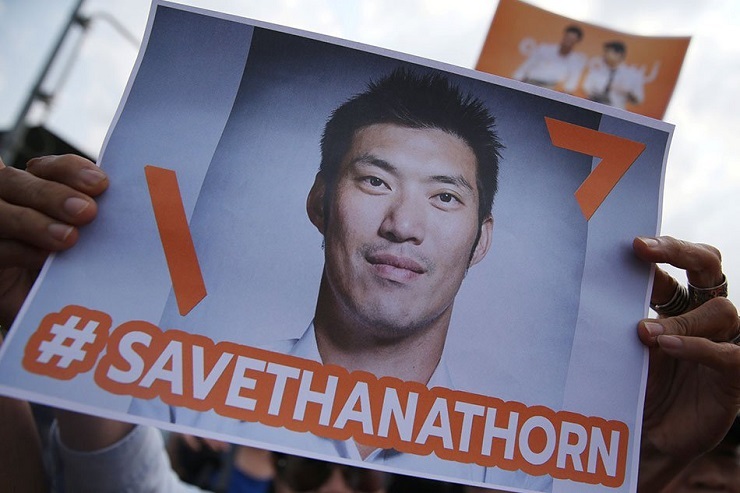 Thanathorn – the West’s “new” proxy – is nonetheless a stand-in for Shinawatra. However, he comes from a family ranked 28th in terms of wealth – and his own personal political and financial background is already tainted with corruption and scandal. The West finds itself resorting to proxies many times weaker financially, and politically more compromised than Shinawatra in 2001 – going up against Thai institutions that are more organized and prepared to defend Thai sovereignty than ever. The Western media’s attempts to “will” the Thai political crisis into a shape that serves its interests didn’t work for Thaksin Shinawatra at the height of his power, did not work ahead of recent elections, and will not work for Shinawatra’s stand-in who is many times weaker post-election than Shinawatra in 2001. 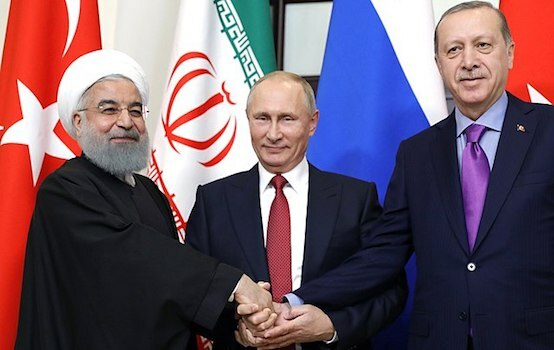 The West’s setbacks in Thailand are just one part of a much wider pattern of US-European foreign policy failures stretching around the globe from clumsy regime change efforts in Venezuela to a humiliating defeat in Syria and a stagnant, two decade-long war in Afghanistan. Regionally, setbacks in Thailand are part of a wider trend seeing US primacy in Asia being displaced by both China and the rise of other regional powers. The notion that characters like Thanathorn and parties like Future Forward represent “democracy,” while their agenda is dictated from overseas by fugitive Thaksin Shinawatra and his Western sponsors, and defended in Thailand by representatives from Western embassies in Bangkok – is an unsustainable paradox. Democracy by definition is a process of self-determination – not one in which a nation’s fate is dictated from abroad. It is only a matter of time before the reality of this paradox catches up with the hypocritical rhetoric used to perpetuate it. Those betting on Shinawatra, his nominee Thanathorn, his party Future Forward, or even American primacy in Asia must ask themselves whether or not they believe by this time next year – or even next decade – this unsustainable agenda will finally gain traction, or find itself more deeply mired by multiplying failures.